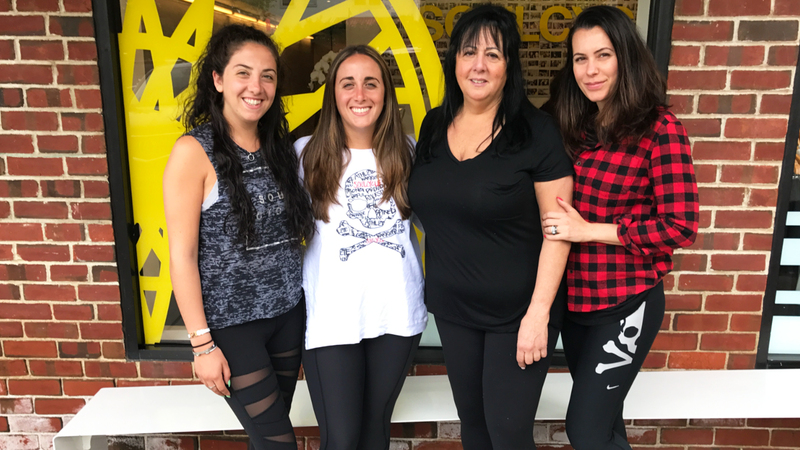 ew York rider TONI YANNI found her way to SoulCycle on the encouragement of her daughters. Find out how SOUL has given her a "renewed sense of life," ahead. 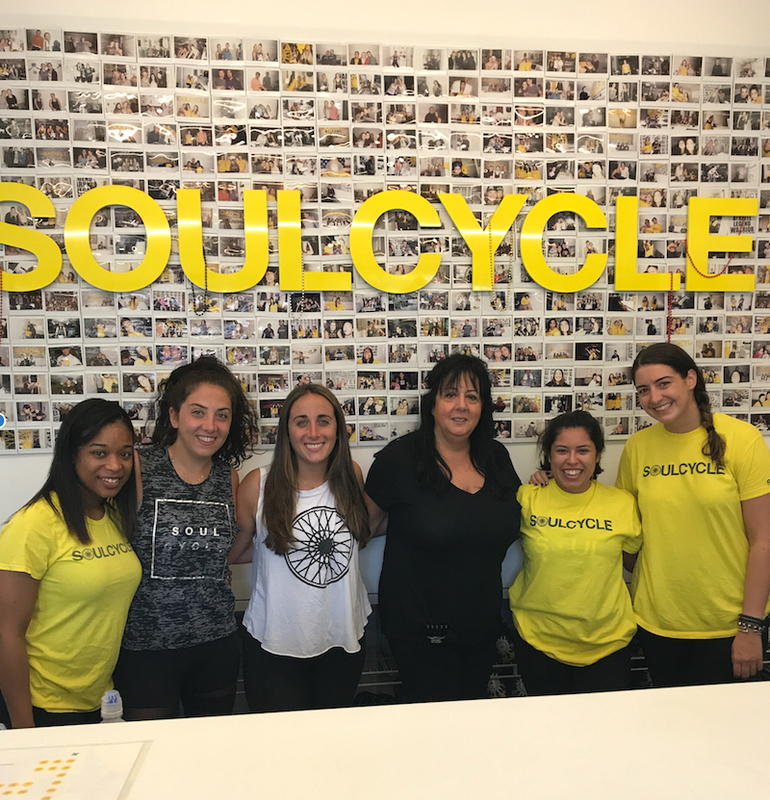 I am a 57-year-old woman with a renewed sense of life because of SoulCycle, JANINE, and the RYBK staff who welcome us with smiles and genuine happiness. I am a mother of two daughters, Lisa and Francesca. Lisa was the first to try SoulCycle, beginning her exercise journey in July 2015. Francesca began riding in January 2016 after encouragement from her older sister, Lisa. Lisa and Franny would come home and talk to me about their experiences. I first noticed an emotional change in my girls. They were more confident — I could see it in the way they spoke and how they presented themselves. I thought it was a result, quite simply, of losing a little weight. Until I decided to attend the class myself, I had no idea how wrong I was. Let me take you back to one of my first classes. After riding a few times in Montauk, my girls brought me to their “home studio.” I was intimidated because I was fearful of how I would perform in class in comparison to the other fit participants. I didn’t want to be called out. I was also afraid of realizing how out of shape I truly was. I didn’t want my daughters to see this, either. My daughters attempted to comfort my fears by encouraging me to “just start with Janine.” In June 2016, I instantly learned exactly what they were talking about. Janine has the capacity to genuinely connect with her riders. She talks about life and how each one of us has our own “stuff” going on. She is always full of encouragement. I came to class grieving the loss of my mother and other sadness that was part of our lives. For the 45 minutes of class, Janine told us to put things aside, and I began to, slowly. Janine has helped me regain a sense of health. I believe in myself and my strength. I believe my daughters are stronger as a result of Janine, too. Nothing makes me happier or gives me more comfort than knowing that my children will live a longer life because of the joy that Janine has presented, which stems from physical fitness. My daughters look up to Janine; she is a role model for them and I couldn’t be happier. My children lost their father to cancer when they were young teenagers. Janine has provided the guidance, while coaching us through workouts, to help them heal a wound that was created eight years ago. She is spiritual, enlightened, generous in kindness, tough yet loving, and above all else: sincere. Janine is irreplaceable and entirely a gift to those who get to encounter her. Just when I think I can’t pedal anymore, I feel her energy and get recharged. She is a wonderful person. Mama T is the nickname that Janine has blessed me with. I attend her classes as much as possible. Because of my renewed confidence, I am not afraid to try other instructors and I’m open to visiting other studios when I travel. I recently started riding with Julianne and Gabrielle, who are amazing, and have ridden in Philadelphia, Montauk, Miami and Greenwich. To the woman who is afraid to own exercise clothing in fear of her appearance, to the woman who is scared to exercise out of fear of poor shape: go, give yourself the gift that I have received. Be well. Be strong. No one will think any less of you. I am no “slim-Jim” but I'm now healthy. What more could I ask for out of life? Thank you, Janine. Thank you. Battling depression as a result of my mother’s death has become less of a strain in my life. Although I miss my mother deeply, I have come to grips with the fact that that loss will never go away, but I can continue my life with an inner strength that I never knew I had. Janine, and all the other individuals at the Rye Brook studio have been an integral part of my healing. I will forever be indebted to them and see myself as a lifelong SoulCycle athlete.